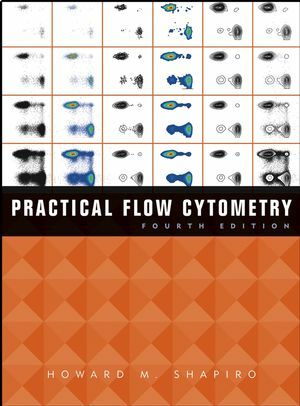 "The standard reference for anyone interested in understanding flow cytometry technology." "...one of the most valuable of its genre and...addressed to a wide audience?written in such an attractive way, being both informative and stimulating." This reference explains the science and discusses the vast biomedical applications of quantitative analytical cytology using laser-activated detection and cell sorting. Now in its fourth edition, this text has been expanded to provide full coverage of the broad spectrum of applications in molecular biology and biotechnology today. New to this edition are chapters on automated analysis of array technologies, compensation, high-speed sorting, reporter molecules, and multiplex and apoptosis assays, along with fully updated and revised references and a list of suppliers. Howard M. Shapiro is the author of Practical Flow Cytometry, 4th Edition, published by Wiley. List of Tables and Figures. Preface to the Fourth Edition: Why You Should Read the Book – Or Not. Foreword to the Third Edition. 4. How Flow Cytometers Work. 10. Using Flow Cytometers: Applications, Extensions, and Alternatives.